Ryan grew up surrounded by amazing horsemen and horsewomen; parents Bob and Debbie Kail and Grandfather Greg Whalen have all been incredibly talented and successful horse trainers. They’ve passed on their immense knowledge and experience in the training and care of these amazing animals! Ryan combined their knowledge with that of incredible family friends to create his own style that worked for his horses. Ryan won five AQHA World Championships in the Halter division as well as one in the Roping. 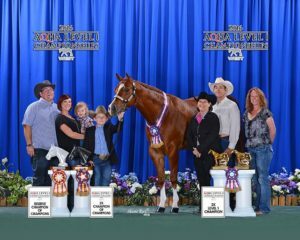 He continued showing successfully while winning a Reserve World Championship title in Youth Showmanship At Halter as well as a Congress Championship title in Youth Horsemanship. When Ryan decided to try his hand at roping it was Don Murphy and the entire Murphy family who passed on their expertise to guide Ryan to a World Championship in Amateur Heading. As Ryan honed in on hi s training techniques and learned more about the All Around and Working Horse industry, Ryan knew his true calling was to help youth and amateur riders enhance their skills and show at the highest levels. In 2008, Ryan turned professional and began living his dream. 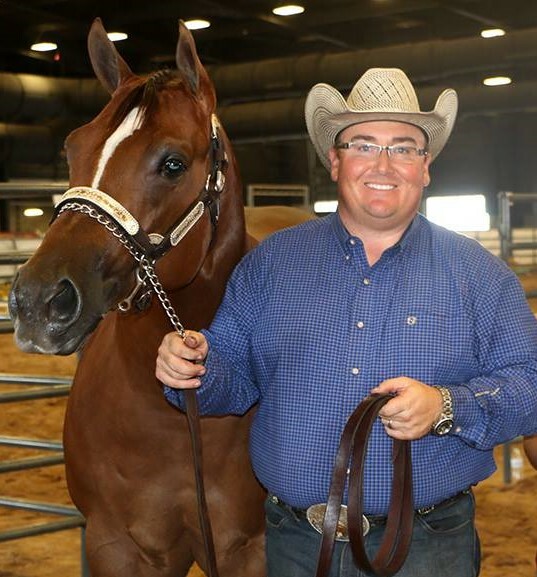 Ryan obtained his judge’s cards in both AQHA and NRHA competition, which has allowed him to stay ahead of industry trends and give back to the industry that has shaped him. Andrea has been extremely blessed to have learned from some truly amazing trainers. 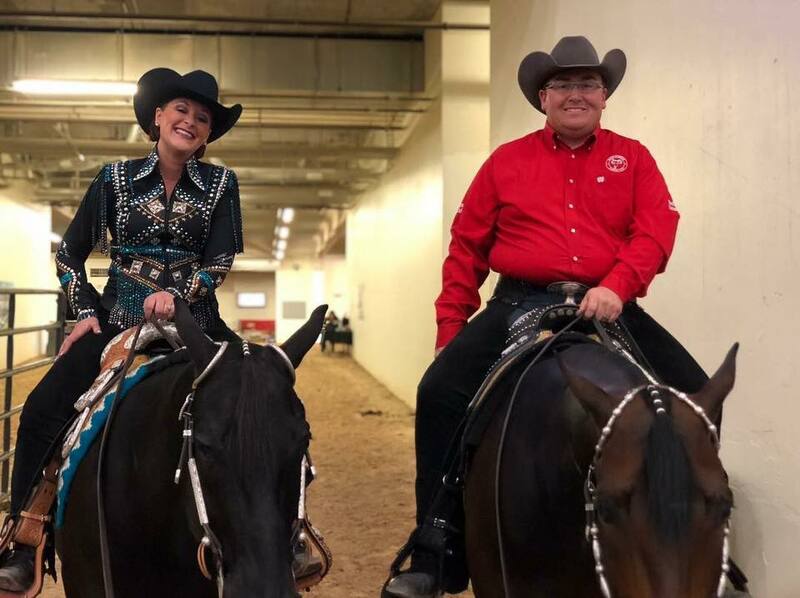 She began her training under the guidance of Tommy Sheets who helped Andrea ride Zippo LTD and their 1st Congress Championship at just 10 years of age in the 11 & Under Trail. The duo went on to earn several more Congress Championships and Year End High Point awards before being sent onto Jason Martin and Charlie Cole for further guidance. Jason and Charlie are both wonderful trainers as well as amazing people, and thanks to them Andrea was able to meet her amazing husband, Ryan. Under the guidance of Jason and Charlie, Andrea and LT went on to set a record for most classes won by one horse, one rider at the Congress in a single year, winning every class they entered in 1998: 12-14 Showmanship, Western Pleasure, Horsemanship, Trail, and Western Riding. Jason won the Sr. Trail and Andrea won the 12-14 All Around as well as the 18 and Under All-Around. Due to the Andrea living far away from her horses, she began a new chapter that allowed them to be closer under the guidance of Vicky Holt. In that program she earned multiple Congress Championships, a World Championship in Trail (winning the prelims and finals under all 5 cards) a Reserve World Championship in Western Riding, and a Bronze in Horsemanship!! LT was a once in a lifetime horse who now holds a place in the NSBA hall of fame. Ryan and Andrea work diligently to provide you the best prepared horse so when the time comes to show, you will be ready to achieve success. Ryan and Andrea’s training styles compliment each other to make the perfect training team for both the horse and rider. Ryan and Andrea have found great success in the Open arena while their clients have found huge success in the Youth, Amateur, Select and Novice arenas.